"Locate and repair Windows registry errors automatically." Very often when a program or software is uninstalled from our computer there are some inexistent files that stay referenced on Windows registry. Or, on the contrary, we may have files that don’t appear on the registry and we can’t access them from the programs that use them. Apart from these problems, there are times that the registry corrupts or provokes derived errors. 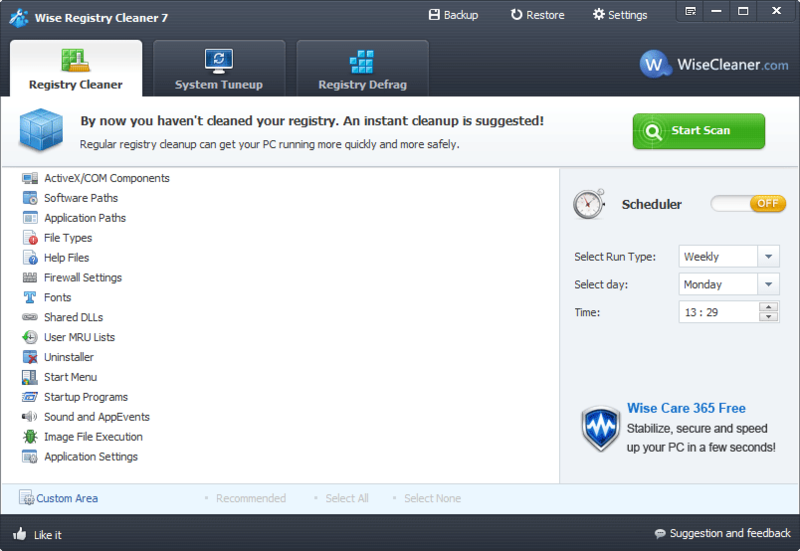 Wise Registry Cleaner is a program that specializes on scanning and finding these problems, errors and incongruities of Windows registry. After making initial scan or search, the program lets us clean all the problem for leaving the system completely clean and free from errors, what will result in a better experience of the use of the operating system and higher speed and less problems. It also includes an optimization system inside of the proper Wise Registry Cleaner. This system carries out various tasks focused on improving the performance of our computer in a fast and automatic way. For example, we can optimize Windows or Prefetch cache, optimize the system startup for making it faster, divide Windows Explorer processes for avoiding the closure of the file explorer caused by an error, finish the problematic processes or various improvements focused on increasing the general speed of the system. 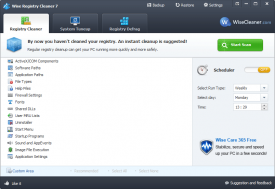 As web browsing is one of the main uses of computer nowadays, Wise Registry Cleaner also has a section specially focused on improving the download speed, browsing and streaming data consumption using different options and optimisations that can be performed on Windows. Finally, for giving the final touch to this complete program, Wise Registry Cleaner lets manually defragment hard drives and it also has its proper system of analysis and defragmentation which is much more powerful and efficient than the one coming with Windows by default.